FREE January 11, 2013. Don’t miss out on sorcerer-duke Vane Unsten’s coming of age story. Coming of age is never easy. Especially when you’re an orphaned duke. And a sorcerer. And the king, your surrogate father, finds his children kidnapped…. Arbora Anders had been twenty years old and more tender than most her age when Zalski Forzythe executed his coup d’état. She had grown up in Partsvale, quite distant from the sorcerer’s native Podrar and the royal court to which his birth gave him access. Indeed, Arbora still made her home in that large northwestern village known for its shrine to Herezoth’s god and its pool that worked, upon occasion, some small miracle of healing due to the Giver’s mercy. It was beneath the light of a pale Partsvale moon streaming through her open window that Arbora tossed in bed, unable for the fourth night in a row to clear her mind. Not even the summer breeze blew out her worries. Arbora had lived a quarter-century before setting foot in the capital. She had never heard Zalski’s name before he assumed power, let alone made his acquaintance, but she wished desperately, and daily—sometimes nightly as well—that she had met the man before his three year reign. Familiar with his aims and character, she would have had some basis on which to choose a course of action. Whether to throw her support behind him or to stand against him would have been clear. Even now, Arbora wished she had traveled to the Crystal Palace in the early days of Zalski’s regime. The man had been flawed, but he had also revered magic’s majesty as few before him. He would have respected Arbora’s abilities, would have yearned for her backing, even to the point of—the years had convinced her of this—sacrificing the cruelty of his justice system to gain her goodwill. Due to Arbora’s influence, or Zalski’s fear of losing her support, which would have amounted to the same thing, the sorcerer would have moderated the worst in himself, allowing his belief that the magicked should not and must not hide to burgeon in the hearts of Herezoth’s youth. What the Giver could have accomplished with Arbora as his Instrument! Reflecting on those days inevitably brought Arbora to dwell on her hatred of two individuals, the first of whom was she herself. Arbora’s sin of inaction, of indolence and indecision, was a sin unpardonable. 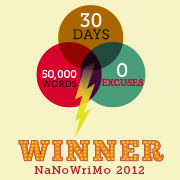 One could justify wavering for a day, or a week, but for three full years…. Her constitution could not have been weaker, and the guilt of her missed opportunity was one she could never expiate. She did not want her guilt expiated. Arbora deserved no peace, for one thing, and for another, her inner turmoil had become for her what a rudder is to a ship. Her shame directed her, kept her not merely in motion but covering real distance. Without it, she feared she would roam in circles again, stupidly, fruitlessly. To choose a destination and push full-speed toward it no matter rough waters, that was what life called for. That was what Arbora had been doing for eleven years now, ever since she had founded the Enchanted Fist. She did not believe she had darted off in the wrong direction, and had held her course, had never veered away. Some of those she tried to guide might have turned, but not Arbora. If by chance she had chosen the wrong bearings, well, the error was preferable, a million times preferable, to going nowhere and suffering vertigo from those sickening circles. The second human being Arbora hated was Kora Porteg. She loathed Porteg with an infantile intensity out of nothing but pure envy. While Arbora recognized the seed of her invented rivalry, she was powerless, despite her magic, to uproot the noxious bloom that sprouted from it. (She had never been able to do a thing with gardens.) Porteg was everything, and yet nothing, that Arbora should have been. Choosing the wrong side—that was reason enough to hate the woman—Porteg had stood firm, had done more than that, had advanced unfalteringly, slowly at moments but unfalteringly, dragging the royalist movement behind her. She pulled them even to victory, despite slandering tongues and vicious printed lies. Then there was the matter of Porteg’s exile. The king used the sentence he had levied as a crutch to prop his arguments; he talked about extremists who railed and rallied against the very idea of magic and who thought he was on their side because he had turned on his supporter. He claimed these people were dangerous. Whenever he said this Arbora wanted to yell that the lunatics couldn’t possibly be as numerous as the king feared, and that Rexson couldn’t let a few crazed individuals prevent him from making real progress, from reaching out to heal the magic community, which did need healing—but she never did. She would be a hypocrite to chastise Rexson for acting exactly as she: rather, for choosing not to act. Arbora could hardly stand the thought of Kora Porteg in exile, because Porteg had not deserved banishment, and the life sentence under which she toiled tempted her fellow sorceress to sympathize with her. However, Kora Porteg was not the person who prevented Arbora’s slumber, who filled her heart with dread, her mind with premonitions that she had directed her ship to collide with a hurricane that had only just organized in the open waters ahead. No, Ursa and Dorane were the party responsible for that. But what was there to do? The two had kidnapped three royals without consulting her. They refused with vehemence to release the boys or to turn themselves in. There could be no turning back; the pair’s crimes were far too drastic for reparation. Arbora must support them. Perhaps Rexson might sanction a Magic Council in the end, on behalf of his sons and their liberty. Yes…. Yes, he would have to kowtow. The king had no powers to rival the Fist and its magicians, and no one to call to his aid. Who would help him? Kora Porteg? Rexson had banished her, betrayed her in a fit of spinelessness. Her brother Zacry? Zacry was a second-rate academic, more interested in arguments than incantations, and rumor held the younger Porteg was none too fond of the king after what he had done to Kora. Besides, Zacry was in Traigland, tucked away near Triflag with the sister the king had sent away. What was to be, Arbora told herself, would be. Why waste the wee hours panicking? She had set her course eleven years ago, and had only to continue the route she had always traveled. Categories: The Magic Council | Tags: book passage, book promotion, fantasy, fiction, Herezoth, The Magic Council | Permalink. FREE this week. Don’t miss out on sorcerer-duke Vane Unsten’s coming of age story. Book two in the Herezoth trilogy, The Magic Council, is FREE today through Friday! (Book one, The Crimson League, is on sale for 99 cents.) To celebrate, here’s a snippet from the free read: young sorcerer Vane and the king’s men approach the mansion where the kidnapped princes are being held. “Then we want to go south,” announced the guardsman, and gestured for the others to follow. He had spent the previous afternoon poring over maps. After an hour of trekking through weeds and brush with hardly a sight of even a dirt road, Vane spied Ursa’s mansion, a building stylistically plain except for its large upper windows. Wooden planks painted a cool shade of blue covered the exterior. As the mansion grew larger, the vigilantes reached the border of Ursa’s land. Waist-high hedges with a tended lawn and flower garden on the opposite side marked her property. The morning had progressed, and the sun dispelled the worst of the mist that had earlier obscured Vane’s vision. This was where the king’s party would split up. Gratton took Rexson and Zacry and circled right. Their goal was to sneak to the window of a vacant room on the lower floor, from which spot the sorcerer could infiltrate the mansion, invisible, and do reconnaissance. Ideally, Zacry would run across the princes and get them out without alerting a soul. Otherwise, he might at least ascertain whether Ursa was home and get to the boys through her coerced cooperation. Vane, Bendelof, and Hayden had the task of taking down the bear, which was roaming around somewhere and could threaten the entire operation. A shame they had to kill the thing, but there was no way around it. Vane wanted to freeze it magically, to do it no permanent damage, but Gratton ruthlessly revealed the flaws of that suggestion. “Use your head, boy. Suppose Dorane or Arbora shows up and unfreezes the thing? What do you care about Ursa’s animal for? It’s got to die, and quietly. That’s why we’ve got Hayden’s bow.” In the meantime, Zacry would freeze the bear if he came across it first, so that Vane and Hayden could finish the job. If the cursed thing found the king and soldier after Zacry were inside, well, the pair had arrows of their own, but Vane hoped they wouldn’t have to use them. Gratton would not be pleased if he had to shoot the bear himself, not pleased at all. Hayden led the second trio in the opposite direction. Vane ran their plan over and over in his head. Kill the bear. Look in the windows, because Zacry’s on the other side, and go in if you see Ursa or the boys. A black flash for the enemy, red one for the hostages. Get in and get out. But first the bear, kill the bear…. The bear found Vane’s party almost straightaway, charging from a clump of oak trees near the mansion, where it was sitting with no restraints. Hayden acted in a flash; before the beast gave two great bounds he loosed an arrow, which lodged in the animal’s snout as it made a third massive stride. With an angry roar—one Vane used a muting spell to silence, but some seconds too late—Ursa’s pet reared up, exposing its chest, and took two more projectiles. Eyes red, claws exposed, yelling in a voiceless rage, the creature careened toward the building when the fourth arrow struck. Then the bear collapsed against the mansion’s blue wooden wall. Vane threw himself to the earth, and dew soaked his clothing. Hayden followed suit, pulling Bennie with him. Hearts racing, they crept toward the building ten yards away. The sorcerer got there first and found a line of narrow, barred windows hidden by a bush row the bear had crushed. He turned invisible before he jumped the hedge and sprinted to the nearest pane, next to the animal’s corpse. He peered into a basement, a basement Zacry could not have seen because it covered only half the building’s length. An identical room must exist on the other side. His voice shaking, Vane uttered two spells. The first sent up a soundless spray of ink-colored flashing lights. The second sent up red ones. Categories: The Magic Council | Tags: book passage, fantasy, fiction, free ebook, Herezoth, The Magic Council | Permalink. In this post from The Magic Council (free all week to download at the given link), I’d like to introduce you to August Hincken. She’s one of my favorites: brave but shy, quiet, modest, with a giving spirit. Working as the queen’s nanny, she has fallen in love with Vane Unsten (Val), a sorcerer and the Duke of Ingleton. Here she discusses her prospects for the future with Bendelof Esper, a sister figure in her life, after Vane’s first appearance at court. Bennie, who still was not used to her alias and almost started at being called Hannah, at the end of August’s rant could not help but smile. Bennie rubbed her wrist—the wrist she had nearly slashed all those years ago. “I didn’t handle the stress all that well,” she admitted. “I tried to focus on the reasons I got involved in the first place. When I needed a reminder, people assured me we were all in that hell together, and that however we got through it, we’d come through arm in arm. And we did, some of us. 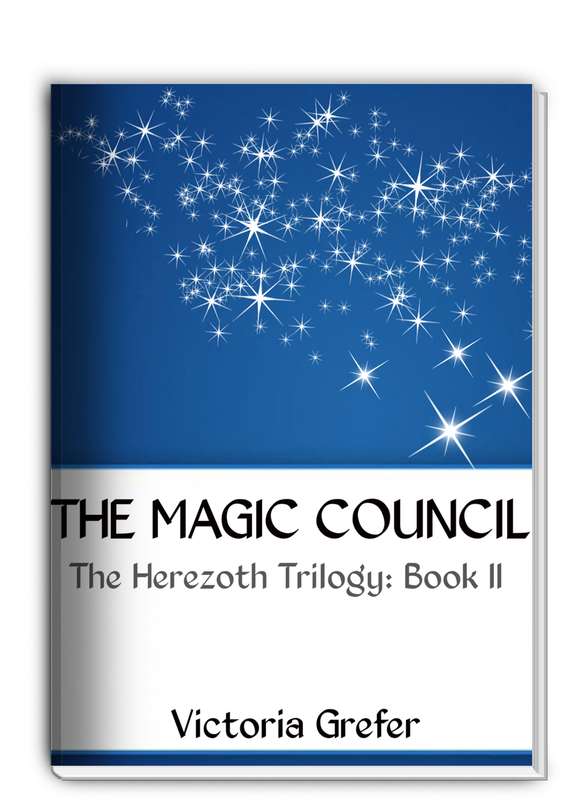 “The Magic Council” is book 2 in the Herezoth trilogy. 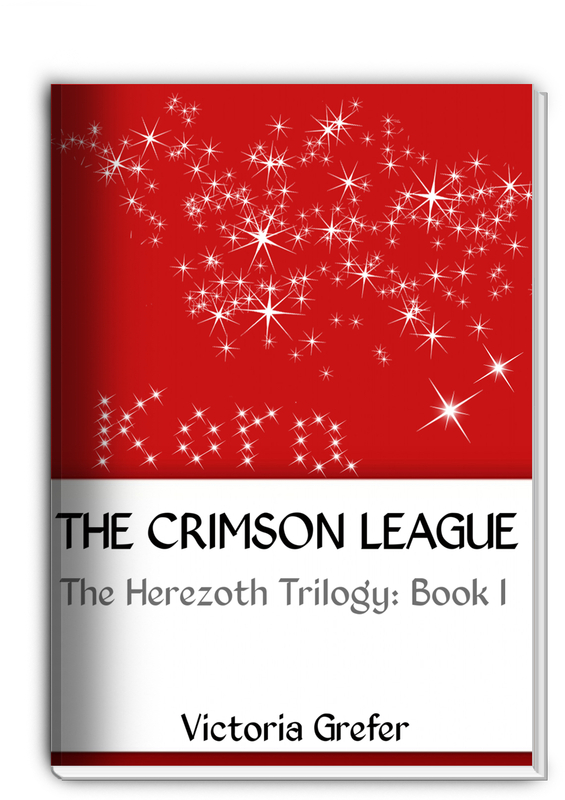 Book 1, “The Crimson League,” is on sale for just 99 cents. Categories: The Magic Council | Tags: fantasy, fiction, free book, Herezoth, The Magic Council | Permalink. 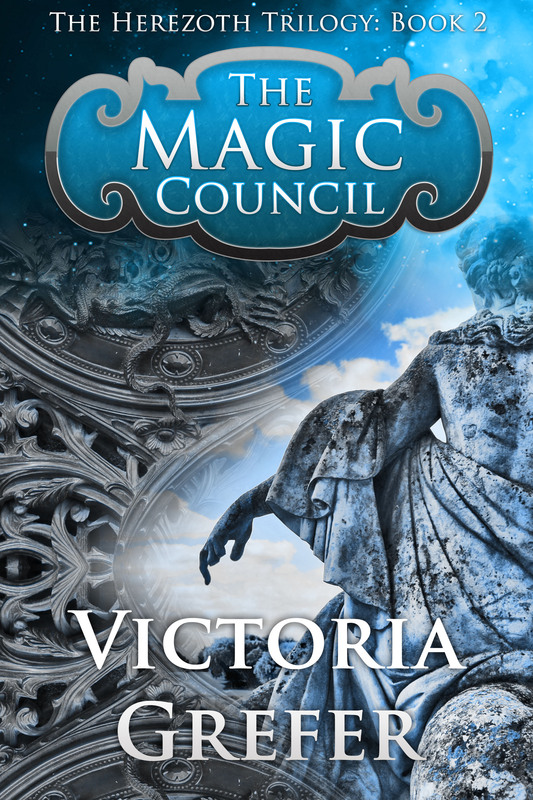 Today is day 2 of my promotion, and that means another selection from The Magic Council (downloadable for free at the link.) In this passage, the king and his magicked supporters confront the sorcerers who kidnapped Herezoth’s princes. For some reason, Crale Bendit’s kitchen always made Arbora feel uncomfortable. It was smaller than hers, and older, as ancient as the rest of the remote, rundown cottage Crale called home in one of Yangerton’s poorer neighborhoods. It looked, in fact, just as time-beaten and tired as old Crale himself. Age had grooved the wooden walls, the rug was threadbare, and the stove of a fashion popular in the last century. The landscapes on the walls displayed faded tints, and the shelves that supported six porcelain bowls showed signs of rot. Yes, the room was old, but its decrepitude was not what bothered Arbora. The spotlessness of it all—every cup gleaming, the paintings without a speck of dust on them, the floor dirt-free beneath the rug’s holes and the rug itself freshly laundered—that was what gave her discomfort. She could not help but compare the state of Crale’s living space with the piles of used dishes and dusty surfaces of her own. The octogenarian was bald and lacked facial hair, but his back was unbent and his skin, though wrinkled, free from liver spots. He had two canvases set on an easel; both depicted a lily-bordered bend in the Podra River. The first was a sketch, rough but complete, which he used to guide him as he meticulously filled the second. His paints set before him, his brush in hand, he was absorbed in his work but addressed his guest. Crale ran his brush across the canvas, and a streak of river foam appeared at a boulder’s base. Arbora was pacing the length of the room. “Ursa!” Arbora yelled. Dorane followed Ursa in, tried to guide her back out. She threw him off, and he shrugged apologetically at Arbora. “Ursa, enough,” said the Enchanted Fist’s foundress. “I know how to speak correctly,” Crale clarified. Ursa jerked her head to the stove, near the corner. A male voice had spoken, but not Crale’s, and certainly not Dorane’s. He was standing at her shoulder. Yes, Ursa saw, the king was there. Rexson, hang him, with that guardsman who was always hovering around him, and Zacry Porteg to boot. The sorcerer must have transported them. Arbora distanced herself from her mentor. Dorane gripped Ursa’s shoulder, his touch strong, not fearful. He meant to strengthen her. As if she needed his strength! The redhead grinned at Crale, who laid his painting on the table. “You’re the one who should be frightened,” he advised. And Ursa could not deny his claim, at least not to herself. The power the king exuded was enough to unsettle even her. The king’s response was a violent, dismissive wave of the hand, one to send a porcelain serving bowl that was perched on a shelf above Dorane crashing down. It flipped end over end. No one thought to stop it, and Dorane was too surprised to move; the container just missed landing on his head like some kind of unusual hat and struck his shoulder instead, hard enough to crack in two before it shattered against the floor. Ursa jumped aside as the bowl exploded. Dorane dropped to one knee at the force of the blow he took. Meanwhile, Zacry restrained the king—restrained him, that is, until Ursa pushed her way past Crale, who offered no resistance, to fling three cups of paint at Rexson’s party. At the same time, Arbora sent a yellow ball of energy at Zacry Porteg. The spell was one she had unearthed the day before in preparation for the worst. To find out what happens next, you can just download the whole novel for not even a cent. Easy peasy! What are you waiting for? Categories: The Magic Council | Tags: book passage, fantasy, fiction, Herezoth, The Magic Council | Permalink. Book two in the Herezoth trilogy, The Magic Council, is FREE today through Friday! 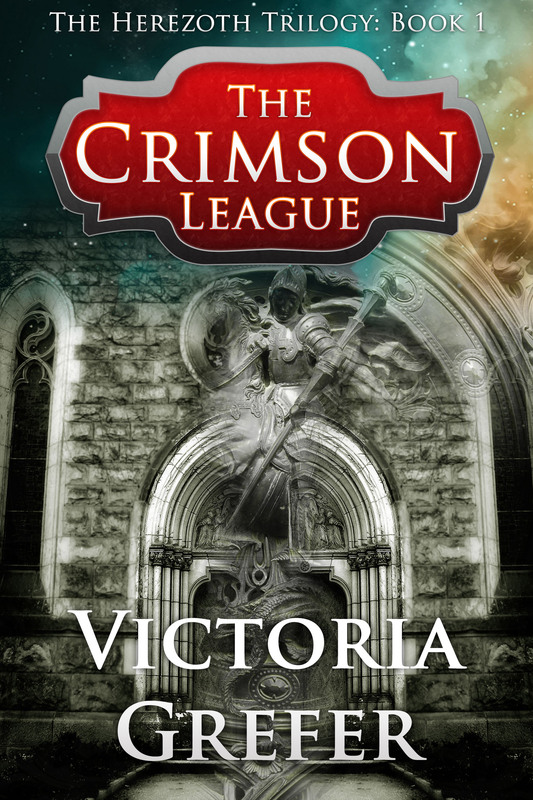 (Book one, The Crimson League, is on sale for 99 cents.) To celebrate, here’s a snippet from the free read: orphaned nobleman–and sorcerer–Vane returns to Herezoth to help the king rescue his sons. In the process, he receives some heirlooms from the monarch. The king smiled again. “You’re dodging me,” he said. “Just like your mother used to do, constantly. It serves me right for asking a direct question. Well, speaking of your mother…. Wait here a moment.” Rexson went over to the desk. He opened the bottom drawer and returned with something Vane could not quite see due to how the king held it and a leather-bound journal, a small one, its cover water-spotted. The parchment pages had yellowed, at least around the edges. Then the king handed over a silver quill molded in the shape of a feather. It sparkled as though he had recently cleaned it of varnish. The nib was missing, but that would be easy to rectify. 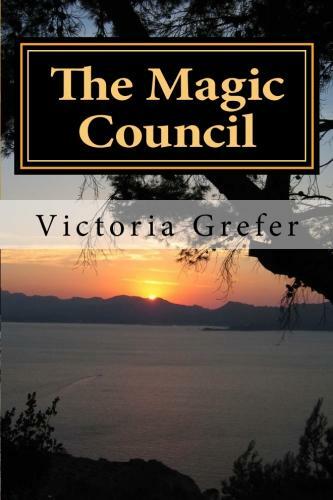 Categories: The Magic Council | Tags: fantasy, fiction, free promotion, Herezoth, The Magic Council | Permalink.